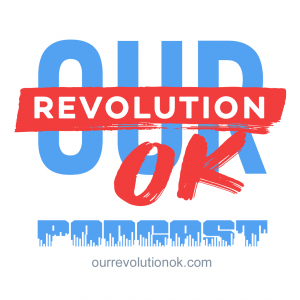 The members of Our Revolution Oklahoma have voted on candidate endorsements in races for select city council seats in four central Oklahoma cities –Bethany, Del City, Edmond and Norman. Municipal elections for each city will be held on February 12. If necessary, a runoff will be held on April 2. For more info. The members of Our Revolution Oklahoma have voted on candidate endorsements in the Oklahoma City Council elections of 2019, comprising half of the eight wards in the city. Nikki Nice handily won the Ward 7 OKC City Council seat in a special election. Way to go, Nikki! Carri Hicks will be the new Democratic representative for SD 40, flipping this mid-OKC seat. Congratulations! Our remaining State Senate candidates – Linda Wade and Renee Jerden – and our State House candidates – Leslie Bonebreak, Katelyn Dockery, Amanda Jeffers, Rashard Bickham, Zach Pearson, Devyn Denton, Lavelle Compton, and Forrest Mayer – were a joy to support and have great political gifts to offer. Our statewide candidate for Corporation Commission, Ashley Nicole McCray, was awe inspiring as she crossed the state battling an entrenched system controlled by friends of big oil and gas. She will not stop being be a force to reckon with and we look forward to working together on rectifying this. And finally, our candidate for Cleveland County Sherriff, Kevin Hammond, brought important issues to the fore that he will continue to champion, as will we. Thank you ALL for your courage and dedication to the issues we believe in. For those who did not prevail, the numerical results do not reflect the value of your efforts, not to us, not to your district, and not to our shared mission, which we will continue to pursue. You all deserve some time to unwind from the campaign fray, but we look forward to working with you in the coming days and years to move Oklahoma forward, in whatever form that takes. We also recognize the winning candidates in our area we didn’t endorse, but who ran on bringing a more progressive future to Oklahoma.. Congratulations to Kendra Horn, now the OK-5 Representative-Elect, Carrie Blumert, Merelyn Bell, Julia Kirt, Mary Boren, and all the others who will now serve in office to move Oklahoma into the future. The much anticipated conclusion to Camille Landry’s interview with Ashley Nicole McCray, who is running for Oklahoma Corporation Commission. Episode 2 – Camille Landry interviews with Ashley Nicole McCray. Find out about the Oklahoma Corporation Commission and why you should care who sits on it. OROK has endorsed Ashley Nicole McCray for this important position. Vote in the Democratic Party runoff on August 28. 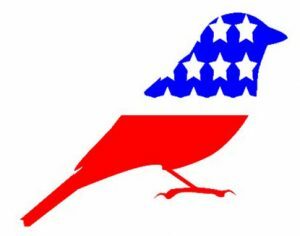 Help fund our Revolutionary Mail Out! 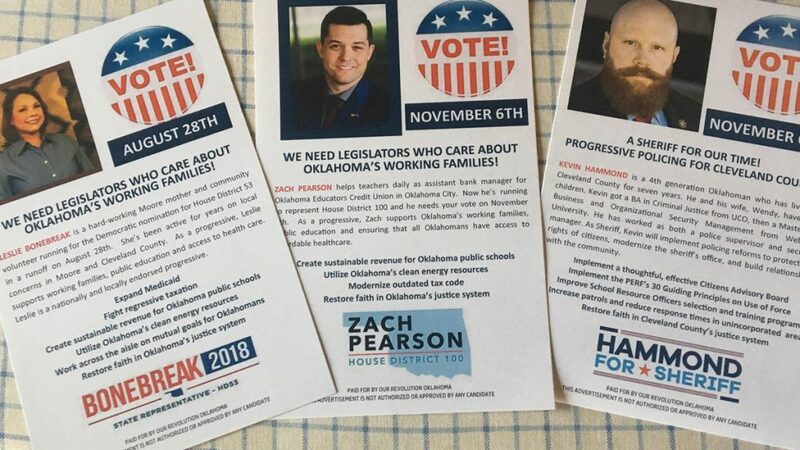 Our list of endorsed candidates is growing, and we are working to help get them elected so we have more progressive representation at the State Capitol and in the other elected offices in Oklahoma where change is desperately needed after about a decade or more of pro-corporate policies and activities. We’ve been canvassing, and we will continue to do so, but we also want to send out postcards to selected voters in their districts to help distinguish these progressive leaders from their opponents. We need your help to make this possible. We’ve scouted out great rates for printing and mailing, designed our unique cards, and created a carefully screened list of likely progressive voters to mail to. Now we just need the funds to make this happen! Please donate what you can to get these cards in the mail. Today eligible OROK members were sent a ballot to vote on three races: HD 53, SD 16 and Cleveland County Sheriff. This is the first of several batches of ballots that will be sent out. The deadline for this ballot is Midnight on Friday, May 18, 2018. Below are the races included on this ballot, with links to the questionnaires that were returned. Subsequent polls prior to the June 26 primary will include other races on the primary ballot, before we begin polling on races that will appear on the November ballot. 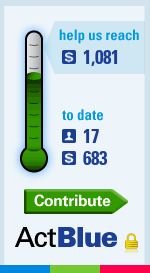 A poll of eligible members will determine whether Our Revolution will publicly endorse State Question 788. If passed, OROK will promote voting and active support for this measure. Poll closes at 11:59 pm on March 5, 2018. Connie Johnson, OROK’s gubernatorial candidate endorsee, has a record on medical marijuana that is unequaled among the candidates in the race, and goes back all the way to 2007. She is rightly known as the mother of Oklahoma’s medical cannabis movement. During her time in the legislature she introduced four bills on the issue. Her unflinching persistence and determination to advance this cause was rewarded with the successful 2016 petition drive led by Oklahomans for Health that finally got the question on the ballot after multiple failed efforts. OROK members are invited to participate in a special canvassing event to support Sen. Johnson’s race for governor (this is separate from our SQ788 canvass), tentatively scheduled for early April. As soon as a date is finalized, you can get more details and RSVP through our website or Facebook events list.